Philippe Saillard: "The Brexit situation is particularly important to us because Great Britain is our No. 1 market in terms of volume." 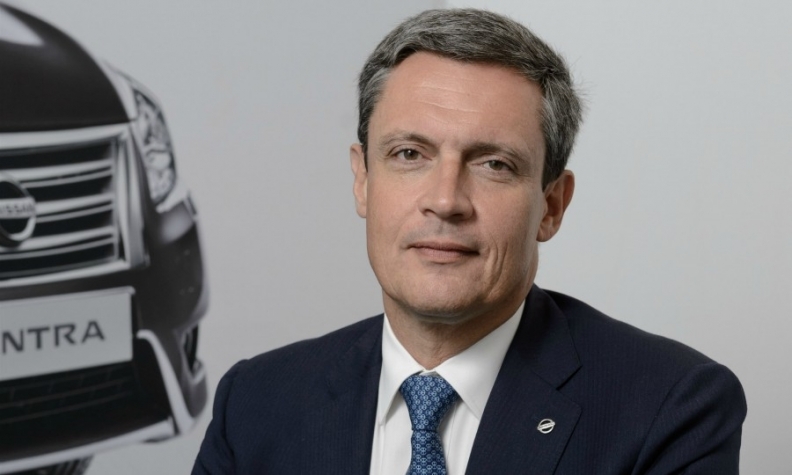 Nissan Europe Senior Vice President, Sales & Marketing Philippe Saillard recently spoke with Automotive News Europe about his outlook for the European market. He also shared his thoughts on the biggest challenges facing automakers in Europe in 2018. What is your 2018 sales outlook for the European market? We expect sales in Europe and Russia to rise about 2 percent this year to 20.2 million. For Europe alone we see the market increasing by 1 percent to 18.4 million and for Russia we expect sales to grow by 7 percent to 1.8 million. What are some of the major challenges that loom in Europe for 2018? The Brexit situation is particularly important to us because Great Britain is our No. 1 market in terms of volume. Brexit affects the future of the pound, which will affect interest rates as well as demand for new cars. We are already seeing that private demand in Great Britain is collapsing so we have to be careful which sales channels we choose. Diesel demand is another big subject in the UK as well as Germany, where there are ongoing discussions about banning the powertrain from entering some cities. Overall, we know that the diesel mix is probably going to shrink. A third big topic will be the new way that CO2 figures will be expressed to customers through the introduction of the WLTP homologation rules. This will affect car taxation in several markets. What are Nissan’s big 2018 initiatives? The main one is the launch of the new Leaf electric vehicle, which will start arriving in Europe this month. It will be a showcase for key elements of our Nissan Intelligent Mobility strategy. This will include Nissan’s ProPilot semi-autonomous driving technology as well as providing customers with the ability to use their Leaf to put energy back into the grid or their home. The Leaf exemplifies Nissan Intelligent Mobility and serves as an expression of how we want to develop the brand in the future. What are you doing to remain a leader in the SUV/crossover market? Crossover leadership is one of the pillars of Nissan in Europe. We are No. 1 in the compact SUV segment with the Qashqai with almost 10 percent of the market despite all the new competitors that have joined the segment over the last few years. The X-Trail has also been strong for us and so has the Juke in the B-SUV [small SUV] segment. Therefore, we expect to keep our sales lead and maintain leadership in the growing SUV segment. How does Nissan measure itself against rivals in the European market? In many ways, for example in terms of customer quality we have an internal program that we use to measure us against 10 to 15 different brands. It is a very competitive survey that helps us determine the opinion of the brand, customer satisfaction, as well as the likelihood that a customer will purchase from us again. How is the Micra performing? With the Micra, we finally have a car that is very competitive in the segment. One reason for this is that this is the first time we have a true B (subcompact) car. Previous generations of the car were closer to the A-segment (minicar) than the B segment. To maintain the Micra’s competitiveness we will introduce some updated powertrains this year. This will provide us with additional coverage within the segment to get the Micra's sales up to full speed. Volvo has launched a subscription program in Europe to replace a traditional lease. Is this also interesting to Nissan? Everyone is looking at the future of car retailing. Nissan in Japan has identified several future schemes that will be piloted in different regions of the world. Europe will be one of the regions where pilot programs will be run, but I can't provide any further details at this stage.